Having gone ‘back to black’ in response to extreme physical challenges that have affected my weight, shape and mobility yet not my highly developed aesthetic senses, I am always interested to read about other women who have done the same. 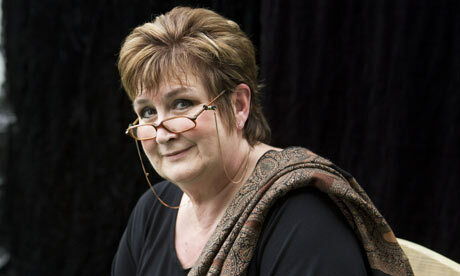 This week, Jenni Murray wrote (click on title to read full article): Why I’m on the dark side: Forget pretty pastels, says Jenni Murray. Black doesn’t just hide bumps: it’s the sexiest colour of all. People generally assume a woman wears black – Jo Brand, Dawn French and myself included – because she’s fat, to make the body of which she’s presumed to be ashamed disappear. But wearing black is nothing to do with size. Our attachment goes deeper than that. … the most stylish outfit: her ‘little black dress’. … a woman clad in black would always be swathed in sophistication and considered impossibly cool. … a black polo neck and black leather mini. … air of non-conformity. In 1954, Marilyn Monroe married Joe DiMaggio wearing a black skirt suit, much to everyone’s astonishment. … Even now, goth and emo kids wear head-to-toe black as a badge of anti-establishment honour. From Audrey Hepburn in Breakfast At Tiffany’s to Princess Diana on her first night out alone after rumours of the cracks in her marriage, there is no doubting the elegant, seductive impact of a ‘woman in black’. The menopause, weight gain and a mastectomy were all profound changes to a body that seemed to be letting me down. In the face of this, I rediscovered the baggy black top and leggings. I now have a wardrobe of identical items in different fabrics. Lighter for summer, heavier for winter. They’ve taken me through bereavement and the struggle with getting older. Confidence: I can feel invisible on days when my confidence is low and sophisticated at an after-dinner speech. I can be whoever I want and doubt I’ll ever go back to the sheer fag of matching colours every morning. My monotone wardrobe has made my life so much easier. It’s the grown-up equivalent of a school uniform and I never have to waste time wondering what to wear. Choice of shoes and handbags is simple – black, although I do add a little colour with a scarf. Choice is precious and no woman should be punished for what she chooses to wear. But it can also be a burden, and one advantage of getting older is that you don’t really care what people think. It’s a pressure I’m only too happy to consign to my past. And it helps that I truly love black. Stylish clothing – and other product – that is easy to wear, comfortable, in natural fabrics, in the right size and in black for the moments when your lifestyle changes and your confidence needs a boost.